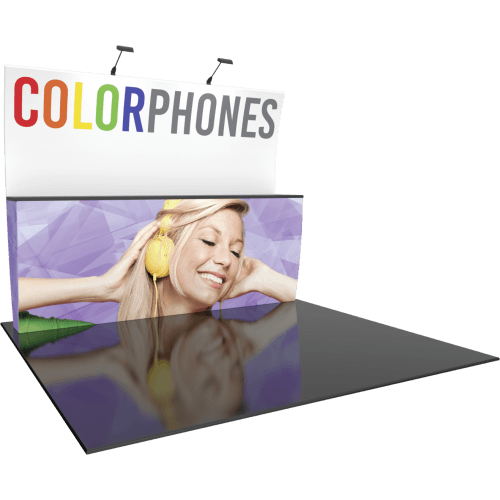 Formulate® Designer Series 10ft Fabric backwall Kit 13 includes a unique backwall featuring a counter top that runs along the center adding real estate for product display and more. 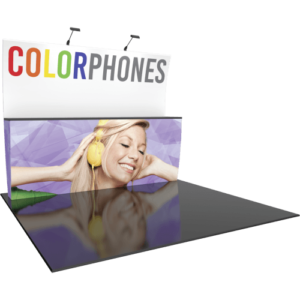 The Kit includes an aluminum tube frame with snap-button/spigot connections, and two zipper pillowcase fabric graphics. Designer Series Kit 13 comes in two portable, wheeled transit cases for easy storage and transport. Assembly is easy – simply connect the tubes, pull the pillowcase fabric graphics over the frame, zip, then add the counter tops.